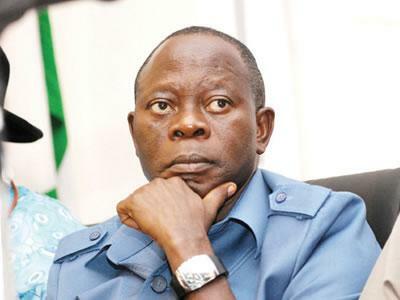 As people everywhere try to figure out the “80 year old godfather” Edo State Governor Adams Oshiomole blamed for the murder of his Principal Secretary, the Edo State Chapter of the People’s Democratic Party has come out to deny any involvement in the occurrence. Olaitan Oyerinde, Special Adviser and Principal Secretary to Governor Adams Oshiomole was during the week murdered in his residence by unknown gunmen. The Governor had last week insinuated that the PDP was responsible for a car accident he was involved in which left people dead, with the party stating that they were “taken aback” by the allegations. The party has now also denied having any hand in the death of the Governor’s aide, describing the accusations as “malicious”. The state PDP Chairman, Chief Dan Orbih, who spoke on Saturday at a news conference in Benin stated that the allegations were simply an attempt to malign the image of the party. Meanwhile, Governor Oshiomole has given police a 14 day ultimatum to find the people responsible for the death of his Principal Secretary. The governor had earlier this week insisted that a “godfather” was responsible but did not mention any names.